Oh Mirror’s Edge. The game that introduced me to the “next generation.” DICE Executive Producer Patrick Bach stated in an interview with IGN that there’s still a possibility that a new Mirror’s Edge and Battlefield: Bad Company game could still be made. He stated that, “Mirror’s Edge was a game we all loved. Of course it had flaws, like all games. But in general it’s an IP we love. We haven’t killed it ’cause it’s too good to kill.” Of course when you have an idea like Mirror’s Edge, a First-Person Platformer with a minimalist aesthetic and ambient music starring a Master Kick-Asser Faith as the protagonist, you can’t just let an idea like that go. Plus the game was really short and ended on a cliffhanger. What’s gonna happen to Faith and the runners? What about Kate and her link with the blues? And what about Callaghan’s re-election campaign? 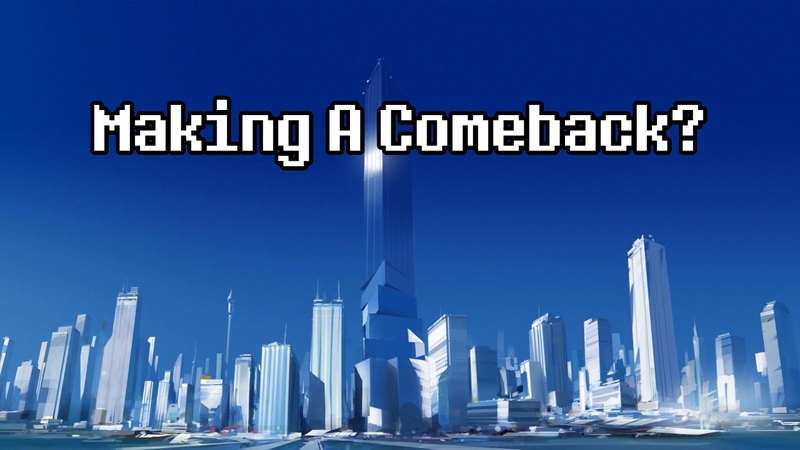 On thing’s for sure: if a new Mirror’s Edge game is made, James and I will welcome this with wide-open arms. We want to see this story through to the end. This entry was posted in Gaming News and tagged DICE, ea, Electronic Arts, Faith, Mirror's Edge, Mirror's Edge 2, Parkour on August 20, 2012 by Steven T..